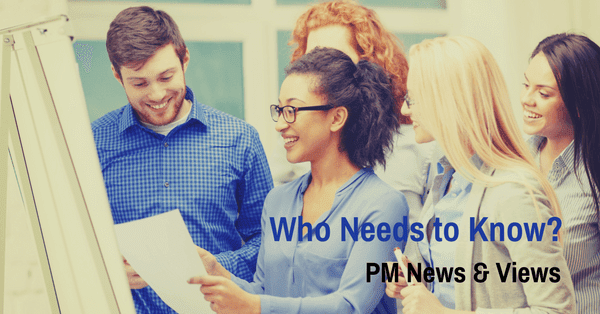 PM News and Views: Who Needs to Know? Have you ever had someone say, "You don’t need to know that; leave that part to me," when working on a project? After your first reaction ("Huh? "), if you are like me, you would be thinking, "Hmm, I asked because I needed to know." What happened here? It seems as though clear roles and responsibilities have not been defined. One person thought it was their responsibility to do that part of the work and didn’t realize another person also needed to know. 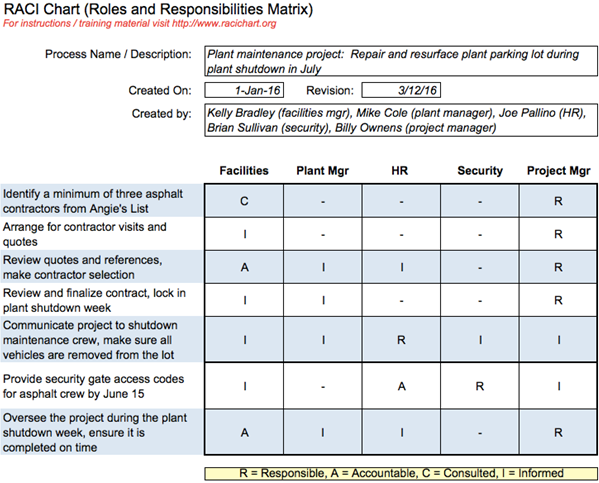 Typically, a RACI chart is drawn with activities down the left-hand column, and roles or people’s names along the top row. It's a very handy tool indeed to prevent some conflicts from occurring.